A new drug based on the recently discovered molecule teneligliptin in the gliptin family is expected to bring down the cost of anti-diabetes therapy by 80%. 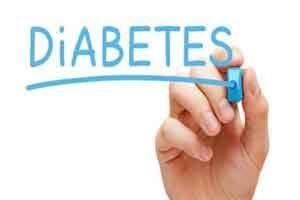 This is likely to disrupt the existing medicine situation for treating diabetes, where the coat of a day’s therapy for diabetes is as high as Rs 1370 per day. With the launch of this new molecule the gliptin family has witnessed erosion; with 15 companies offering the new molecule based drugs the cost has now come down from Rs 44 per day to Rs 9 per day. The gliptin family occupies 20% share of the anti diabetes market, and the new teneligliptin is the fastest selling drug in the Rs 1430 crore gliptin family. Taking the lead in the gliptin family is the new teneligliptin drug priced at Rs 20 launched by Glenmark in June last year. With the launch of Zita Plus and Ziten (teneligliptin brands) by Glenmark, there was a series of launch by other players creating lot of action in the Rs 6000 crore oral diabetic market, led by the launch of the new molecule. As reported by TOI, The cost of gliptin treatment amounted to Rs 16,200 per year (at Rs 1,350 per month). With the entry of the new molecule and subsequently aggressive pricing by domestic companies over the past six months, the cost of therapy has dropped to approximately Rs 3,285 a year (at Rs 270 a month), translating into national savings of roughly Rs 1,300 crore for patients. The new entrant teneligliptin is also the fastest selling in the Rs 1,430 crore gliptin family which occupies 20% of the total anti-diabetic market. As per the AIOCD data (December 2015), there are 16 teneligliptin brands in the market, with total sales of Rs 36 crore. Diabetes is fast gaining the status of a potential epidemic in India with over 67 million individuals currently diagnosed with the disease (source: IDF 2014), while there is a huge undiagnosed diabetes population estimated around 35.4 million.